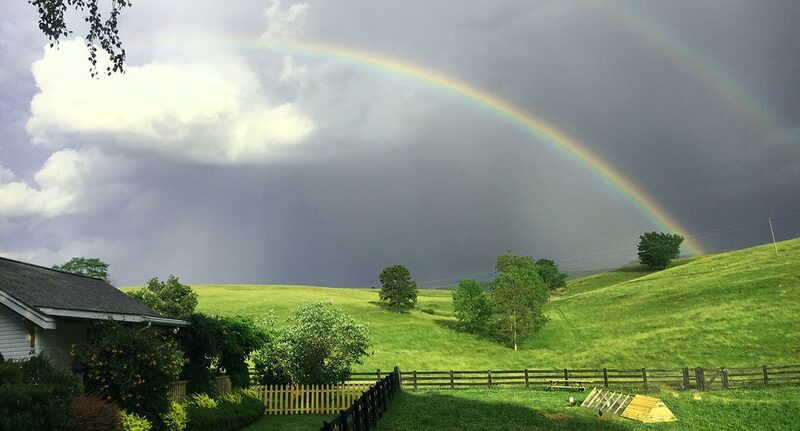 As we watch the sky grow dark and the rain come pouring down, we realize the importance of both rain and sun for the creation of the rainbows in our lives. Those incredible sunny days, where everything seems to be orchestrated in perfect harmony, must be interupted by the occasional downpour. This dichotomy of sorts allows for us to appreciate the warmth of the sunny times while respecting the necessity of the storm to allow for our personal growth and development. Enjoy your journey inside and out, never forgetting to look for the rainbows in life! ©2018 Blue Ray Chapel of Hope, D.B.A. Blue Ray of Hope Integrative Wellness Center. All Rights Reserved. Website design & development by Aeon.